A working group of senior officials has recommended to the Inter-Ministerial Committee on Political and Electoral reforms the need to prioritise compensation for families of the deceased, which could include school fees for their children. Those who were injured will also be reimbursed the money they spent on medical assistance. The proposals will, however, have to be approved by Cabinet. Government, through the Ministry of Industry and Commerce, is also setting up a fund to assist small businesses that were caught up in the mayhem. Treasury and the Department of Social Welfare are currently computing the quantum of payouts. Justice, Legal and Parliamentary Affairs permanent secretary Mrs Virginia Mabhiza — who was also secretary to the Motlanthe Commission — told our Harare Bureau that only “direct dependants” of the deceased will receive compensation. “The President (Emmerson Mnangagwa) set up a taskforce to implement recommendations from the (Motlanthe) commission, together with other reports from the various election observer missions. But with respect to compensation, we have dealt with the issue at the working party level, which I co-chair together with Foreign Affairs (and International Trade), and what we have done is that we have made recommendations to the (Inter-) Ministerial taskforce requesting a budget that should be provided through the Department of Social Welfare to compensate the victims of the August 1 post-election violence,” he said. The commission of inquiry into the August 1 post-election violence, which was chaired by former South African President Kgalema Motlanthe, recommended, among other things, that Government sets up a special committee to assess and determine the quantum of damages and compensation to be awarded to victims on a case-by-case basis. The Department of Social Welfare will work on facilitating the payouts. Government also plans to liaise with the Zimbabwe Association of Doctors for Human Rights (ZADHR), a non-governmental organisation that reportedly assisted some of the victims, to identify those who may require assistance. Thorough vetting will precede the planned disbursements. According to the ZADHR report, 29 people in Harare were injured during the disturbances, while eight others were injured in Chitungwiza. However, it is believed that families of the deceased will be given priority. The six people who died are Brian Zhuwawo, Challenge Tauro, Jealous Chikandira, Gavin Dean Charles, Ishmael Kumire and Sylvia Maphosa. 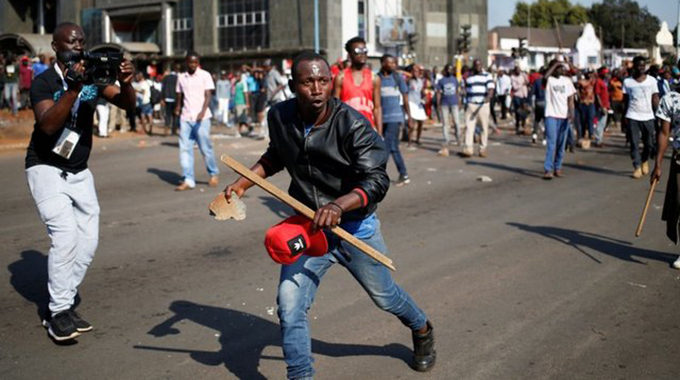 The commission nailed several senior officials from the MDC-Alliance for incendiary rhetoric during the campaigns which resulted in the street riots.